1. Capital appeared a century ago (in 1867). It retains all its freshness and is more relevant and actual than ever. Bourgeois ideologists, whether they be ‘economists’, ‘historians’, or ‘philosophers’ have spent the greater part of the last century trying to refute it. They have declared the theories of the value of labour power, of surplus value and of the law of value to be ‘metaphysical’ theses which have nothing whatever to do with ‘political economy’. The latest of these ideologists to re-hash the old arguments while purporting to advance something new is M. Raymond Aron (Croce, the Italian philosopher, advanced the most ‘perfect’ of such arguments I know – before World War I). 2. The workers who read Capital can understand it far more easily than all the bourgeois specialists however learned and eminent they may be. Why? Because Capital deals quite simply with capitalist exploitation of which they are the victims. Capital singles out and outlines the mechanisms of this exploitation, under which the workers live all their lives and of all the various forms in which the bourgeoisie realises this exploitation – increases in working hours, in productivity, in the rhythm of work, wage cuts, unemployment, etc. Capital is therefore, above all, their class bible. 3. Apart from the proletarians, there are other readers who take Capital seriously – salaried workers, employees and in general, certain sections of what are called ‘intellectual workers’ (teachers, research workers, technicians, doctors, architects, etc.) not to mention university and high school students. All these, eager to know, want to understand the mechanisms of capitalist society in order to be able to find their bearings in the class struggle. 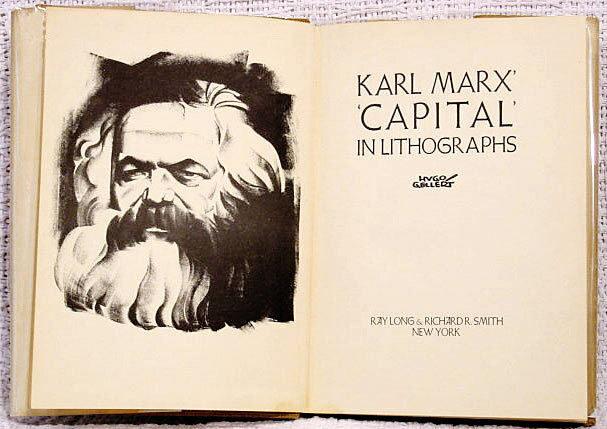 They read Capital – which is both a scientific and revolutionary work and which explains the capitalist world. They read Lenin, who has continued Marx’s work and who explains that capitalism has reached its highest and last stage – imperialism. 4. This said, it should be added that it is not easy for everyone to read and to understand Capital. We should face the fact that reading it presents two great difficulties – (1) a political difficulty, the main one, and (2) a theoretical one, which is subsidiary. As stated, the first difficulty is the political one. To understand Capital it is necessary either to have direct first-hand experience of capitalist exploitation (like the workers) or (like the revolutionary militants, whether they be workers or intellectuals) to have made the necessary effort to arrive at ‘the standpoint of the working class’. Those who are neither workers nor revolutionary militants – no matter how learned they may be (like the ‘economists’, ‘historians’ and ‘philosophers’) – have to understand that the price they have to pay for achieving such an understanding is a revolution in their outlook which is dominated enormously by bourgeois prejudices and pre-conceptions. 5. The second difficulty is the theoretical one. It is subsidiary to the first but it is nevertheless a real one. Those accustomed to theoretical work, above all in the field of theoretical science, less in the exact sciences (the ‘humanities’ are 80 per cent falsifications of science, products of bourgeois ideology) are able to overcome this difficulty due to the fact that Capital is a work of pure theory. Others, workers for example, who are unaccustomed to pure theory, must make a sustained effort, work patiently and consistently to make advances in theory. We will help them. And we will soon see that they will be able to overcome this difficulty.